We are delighted to present this line-up of experts! They represent a wealth of knowledge, leading-edge work, and genuine interest in sharing expertise with colleagues and in serving the food allergy patient population. Ruchi S. Gupta, MD, MPH has more than 15 years of experience as a board-certified pediatrician and health researcher. She completed her undergraduate and medical education at the University of Louisville. She completed her medical residency at Children's Hospital & Regional Medical Center, University of Washington in Seattle, WA and then a pediatric health services research fellowship at Boston Children's Hospital and Harvard Medical School. Finally, she received her Masters of Public Health from the Harvard School of Public Health. Dr. Gupta is nationally recognized for her groundbreaking research in the area of food allergy epidemiology; specifically her research on childhood food allergy prevalence. She has also significantly contributed to academic research surrounding economic costs, pediatric management of food allergy, ED visits and hospitalizations, quality of life and use of epinephrine in schools. Dr. Gupta has been a faculty member at Northwestern Medicine since 2004 and a clinical attending at the Ann & Robert H. Lurie Children's Hospital of Chicago where she is actively involved in clinical, epidemiological, and community research. 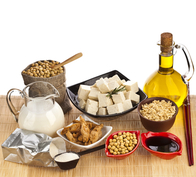 Dr. Gupta leads the Food Allergy Outcomes Research Program and is a co­founder of the Food Allergy Research Consortium at Northwestern Medicine. She is also the author of the book The Food Allergy Experience. Dr. Gupta has over 60 publications and her work has been featured in major TV networks and print media. onset food allergy as well as incidence of appropriate access to self-injectable epinephrine. Dr.
Shankar is an allergist with Allergy & Immunology Associates of Ann Arbor. Michael Pistiner, MD, MMSc is a pediatric allergist for Harvard Vanguard Medical Associates and the father of a child with food allergies. He has a special interest in food allergy management and education. He is co-founder and content creator of AllergyHome and serves as a voluntary consultant for the Massachusetts Department of Public Health, School Health Services. He was a reviewer for the CDC’s Voluntary Guidelines for Managing Food Allergies in Schools and served on the National Association of School Nurses/National Association of School Nurse Consultants/American Academy of Pediatrics’ Epinephrine Policies and Protocol’s Work Group. He is a fellow in the American Academy of Pediatrics, where he is a member of the Council of School Health, the Section of Allergy & Immunology and the Project Advisory Committee for the Medical Home Chapter Champions Program. He is a member of the American Academy of Allergy Asthma & Immunology, where he is a member of the Adverse Reaction to Food Committee and food allergy in school sub-committee, and also a member of the American College of Allergy, Asthma & Immunology. Dr. Pistiner serves on the boards of Asthma & Allergy Foundation of America, New England Chapter, the National Association of School Nurses editorial board and the National Food Allergy Management and Education Advisory Board. He is a consultant for the Allergy Asthma Network/American Academy of Pediatrics Chapter Champions Program. Additionally, Dr. Pistiner is the author of Everyday Cool with Food Allergies and a co-author of Living Confidently with Food Allergy. care management including individualized food allergy student health plans, related staff education, and staff oversight. She is also board certified as an asthma educator by the National Asthma Educator Certification Board. Anne F. Russell BSN, RN, AE-C, MS candidate, has scholarly food allergy/anaphylaxis interests which include advancing interdisciplinary clinic models to improve patient outcomes, staff/patient education, public health education, school food allergy management and research. She has developed curriculum for food allergy education and provided presentations on food allergy management at many conferences and schools. She has collaborated on food allergy legislative initiatives and on state and national teams of healthcare professionals for food allergy educational and research projects. Her clinical scope of practice in food allergy has included: initiation, creation and implementation of food allergy patient/staff education materials, clinic policies and conferences; coordination/monitoring of oral food challenges; patient assessment, care planning and evaluation of interventions; research; case management and patient/family food allergy education. She is a AAAAI member serving on the anaphylaxis and adverse reaction to food committees. She is a contributor and reviewer for the Anaphylaxis & Administration of Stock Epinephrine Tool Kit produced by the MI Association of School Nurses. She is also a contributor and reviewer for the Food Allergy Guidelines for MI Schools in collaboration with the MI Department of Education and MI Department of Community Health. 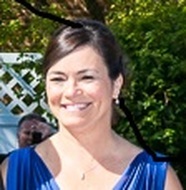 She is also a guest reviewer for Training Standards for the Administration of Epinephrine Auto-Injectors in collaboration with the CA School Nurses Association and for the MASN school nurse guidelines for school management of anaphylaxis. She is nursing faculty at Spring Arbor University, a food allergy contributor to AllergyHome.org, and food allergy/anaphylaxis writer for the Association of Asthma Educators. She also serves on the Nurse Practice Committee with the Michigan Center for Nursing. Her scholarly work includes primary authorship of journal publications on food allergy daily management, clinical patient education and school food allergy management. She has also provided peer review on food allergy related articles for several medical journals including the American Journal of Preventive Medicine. Her graduate studies include advanced clinical/administrative courses in nursing and she is currently completing a Masters of Science degree with a concentration in health education and health promotion. including health fairs, and disability awareness programs. Olga Kagan, MS, RN, PhD candidate, chairs a district-wide health education committee and serves on several boards where she advocates for safety and wellness of school age children. She is an active member of The New York Academy of Medicine, Food Allergy Research and Education (FARE), and HIMSS. She has been invited to present to professional and community groups on a variety of health topics, including, food-induced anaphylaxis. Her goal is to raise awareness and increase knowledge about food allergies and anaphylaxis among diverse groups, including within schools and communities. She developed customized programs for school transportation personnel, food-nutrition workers and elementary school students. She is also involved in legislative efforts on state and federal levels, as well as provides support to newly diagnosed and those who encountered allergic reactions. Having two children with multiple food allergies, she is a strong advocate for the food allergic community on personal and professional levels. Evilia A. Jankowski, MSA, BSN, RN earned an Associate’s Degree in Nursing from Northern Arizona University in 1980, a Bachelor of Science in Nursing in 1983 from Northern Arizona University and a Master’s of Science in Administration from Central Michigan University in 2010. She has 12 years of professional clinical experience as a charge nurse in Labor and Delivery/Obstetrics/Pediatrics. She became interested in the field of public health nursing in 1993 and has been involved in school nursing ever since. Ms. Jankowski is the current President of the Michigan Association of School Nurses and remains involved in school health issues statewide. She is one of two Epinephrine Resource School Nurses in Michigan and has worked on the state asthma program for 15 years. received her Masters of Public Health, Human Nutrition and Dietetics from the University of Michigan. She has a B.S. in Biomedical Science from Grand Valley State University. We are very grateful to Linda M. Stachura, RN-BC, BSN, MSN and Michelle Naylor, RD for assistance regarding continuing professional education credits.